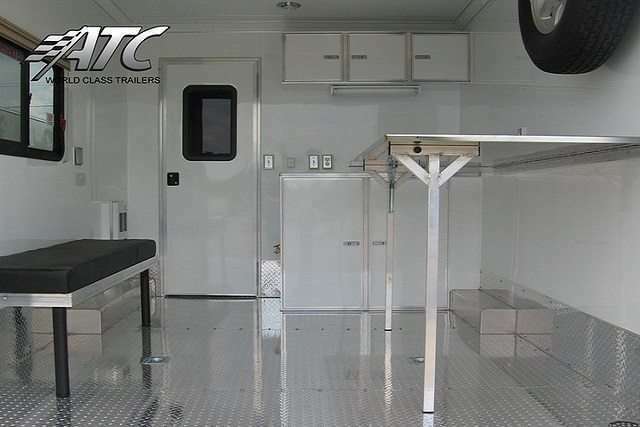 MO Great Dane designs, builds and delivers custom Mobile Command Trailers worldwide. 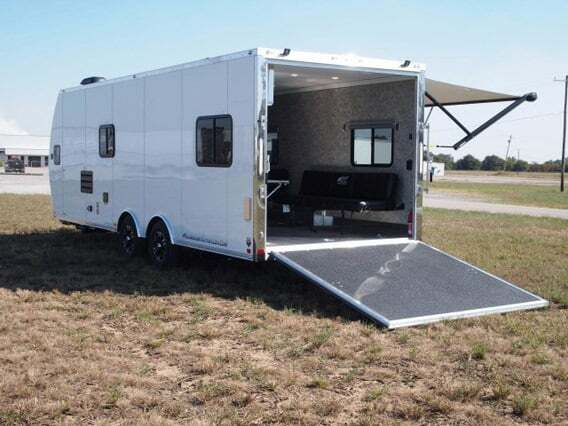 Mobile command centers are available in bumper pull, gooseneck and semi trailer configurations as well as the truck version of a mobile command post vehicle. 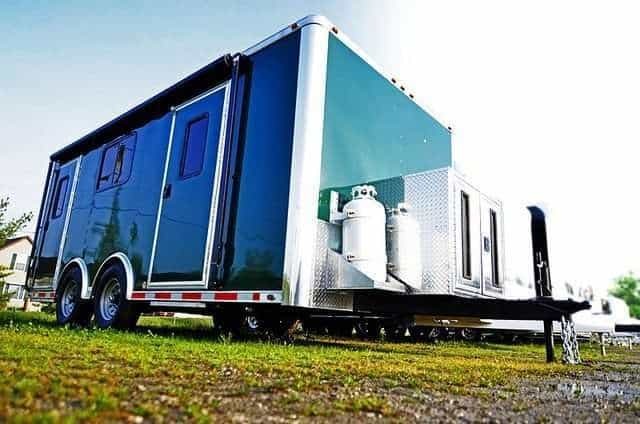 Command trailers range from very basic to fully custom with popular features and options including workstations, heat and air conditioning, generator, bathroom, kitchenette, storage space, windows, slideouts, exterior awning, scene lights, communications equipment, and much more. We also offer custom trailers configured as communications trailers, hazmat trailers, rescue trailers, and response trailers. Click on image below to see galleries of our featured past builds. Request a Quote or Contact Us +1 (866) 545-3065 today to get started on your custom trailer! This is a 24 ft command response trailer with an aerodynamic front nose. To target rust prevention, it has an all aluminum frame (no wood or steel in the construction); which creates a longer lasting trailer, with no rotting wood or rusting steel. This model includes the built-in Onan generator, kitchenette, bathroom, fold up desk, fold up bench seating, fold up dinette/conference table, storage closet, LED lighting, awning, and much more. This model can be used to haul large items in the center with all the fixtures folded up. The desk/bench and seat/dinette can then be folded down when ready to use. Call us at +1 (573) 545-3065 for additional details, freight quotes, or to discuss custom building of a similar trailer. Click here to see more images of this TRAILER.